This entry is updated regularly and includes Dave Cockum's and Gene Colan's personal File Copies, as well as many comics signed by folks like Stan Lee and Joe Kubert. Books were specifically signed to raise money for varied causes. I don't think you will find better prices on Silver & Bronze-Age Comics. The first list is Dave Cockrum's personal collection and file copies. 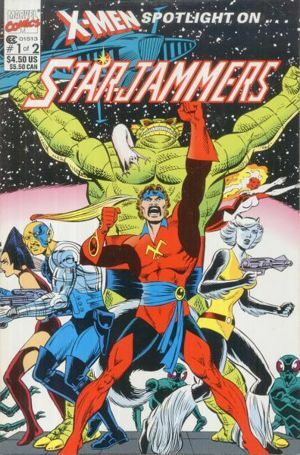 Dave created many of The X-Men--Nightcrawler, Storm, Colossus, Thunderbird, Phoenix--as well as Mystique, The Black Cat, Ms. Marvel, The Starjammers, The Imperial Guard, The Brood, The Futurians. Some books, as indicated, were Dave's personal file copies (i.e., comics he pencilled or inked and filed as his personal file copies). Working with the Dave Cockrum Estate, CGC created the "Dave Cockrum Estate" pedigree (only books marked CGC underwent this process -- see "CGC'd books" category at the end). New comics are added often so check back frequently. You'll also find many comics from Gene Colan's personal collection (file copies are indicated) as well as comics that were signed by Gene and Stan Lee. Sales from the Cockrum Estate benefit Dave's widow Paty and The Dave & Paty Cockrum Scholarship awarded each year at the Joe Kubert School for Comic & Graphic Art. Sales from the Gene Colan collection benefit Gene Colan. Comics come bagged, boarded and sealed with a seal of authenticity, indicating provinance. A letter of authenticity from the Estate can also be arranged. Checks should be payable to Paty Cockrum or Gene Colan and mailed c/o Clifford Meth, 179-9 Rt. 46 West, Box 252, Rockaway, NJ 07866. Email cliffmeth@aol.com to reserve your comics. Discounts are given for multiple purchases. We recently found four (4) copies of THE UNCANNY DAVE COCKRUM TRIBUTE (paperback) signed by Dave (he signs, "Thanks for Contributing --Dave Cockrum"). This was a short-print and only a few dozen were signed. These go for $35 ea. BLACKHAWK (DC - 1946 series) -- TAKE 65% off ! Tales of Suspense #84 (Iron Man) signed by Stan Lee and Gene Colan $60. Tales of Suspense #86 (Iron Man) signed by Stan Lee and Gene Colan $60. Tales of Suspense #97 (1st Whiplash vs. Iron Man) signed by Stan Lee and Gene Colan $100. The books showed up today- they're great. Thanks for the extra books too. It's very cool to share a part of history, and it's extra nice to know that my completely unnecessary personal expenditure went toward a good cause. Best of luck with the sale. What If There Was an FF Movie in 1967?